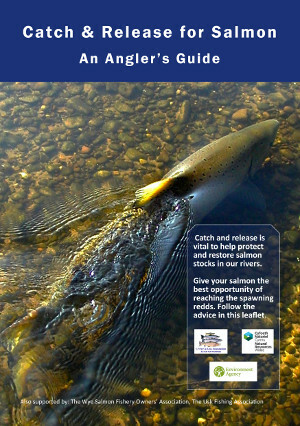 To download advice on catch and release technique, please click on the leaflet to the right. Catch and release is a vital part of salmon management to protect future stocks. Research has shown that anglers can avoid unwanted salmon deaths .... but it does require a responsible level of care to achieve this. Good technique means more salmon spawning and more fish to catch in the future. To see your fish swim off strongly adds to the elation of landing a salmon but seeing it die after release is a terrible comedown. If you handle a salmon poorly, it may die later when you can't see it, from exhaustion, internal damage or infection. Technique is important. All fish species require careful handling, especially in low, warm water conditions. Although illegal to deliberately target them, Shad are often caught by accident in May and June in both rivers by salmon and trout anglers. These fish do not respond well to being handled and must be returned to the water immediately. The main salmon smolt run on both rivers takes place in April and May and they are often caught by trout anglers fishing wet flies and nymphs. Once in their silver sea livery, smolts are very delicate and easily lose their scales if handled, leaving them susceptible to infection. These fish have a very tough journey facing them so please give them every chance of survival by only using barbless hooks and by not handling them. If you hold the fly quite often they will wriggle free on their own accord. Salmon parr are not shy and are often caught by trout anglers too. 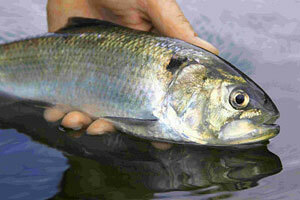 Again, please use barbless hooks so that these precious creatures can be returned to the river as quickly as possible. 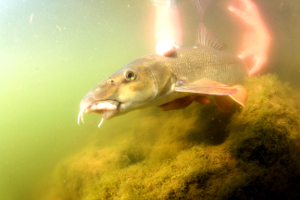 All fish species take longer to recover in low, warm conditions due to the water’s reduced dissolved oxygen capacity. If fishing in summer please ensure that all fish (game & coarse) are not taken out of the water and are only released when fully recovered.